⚕If you'll be in D.C. tomorrow ... Join me at 8 a.m. for an Axios News Shapers breakfast on health care, with Sen. Chris Murphy, Rep. Mark Meadows and Axios' Caitlin Owens. These people tell me that Bloomberg, 77, who announced March 5 that he wouldn't run, might reconsider if a centrist lane were to open up. The most likely scenario for that would be if Biden, 76, whose displays of public affection have burst into a major issue, were to stay out or fade fast. Several around Biden think advisers to Bernie Sanders are at least partly behind the anti-Biden campaign. 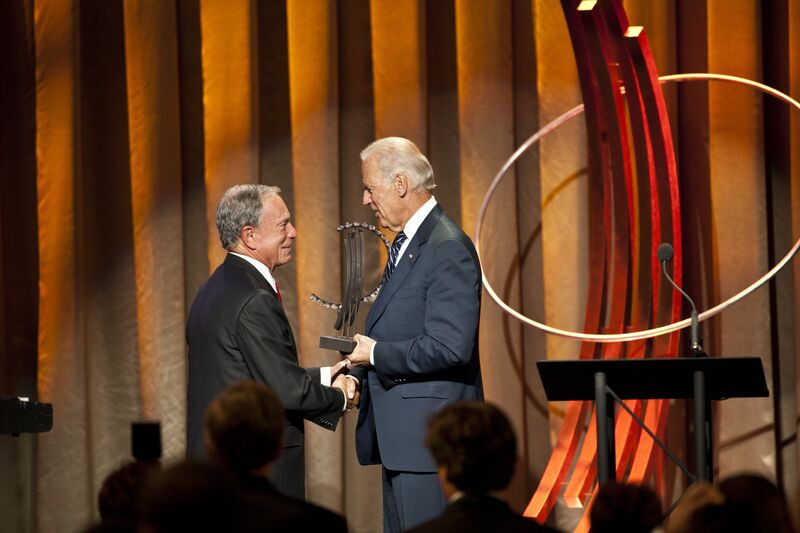 One prominent backer thinks Biden will run, and "is ready to kill Bernie." 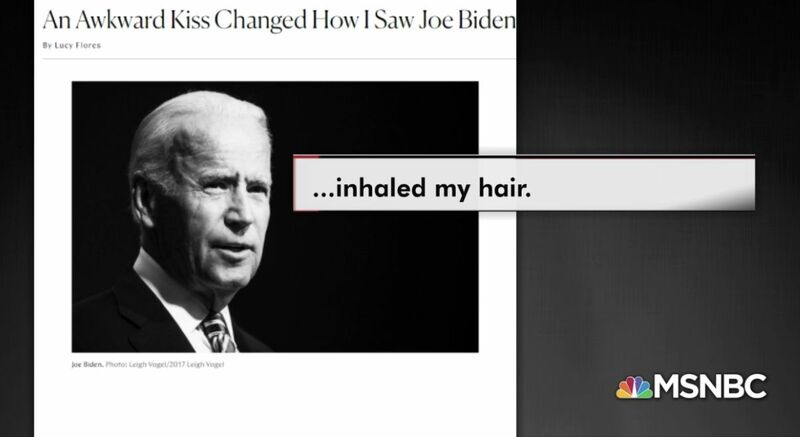 A second woman went on the record yesterday to say that a past display of affection by Biden had made her feel uncomfortable. Google search interest in Buttigieg has taken off. CNN's Harry Enten points out that has "correlated with jumps in the polls this primary season." Equal Pay Day symbolizes how far into the year women must work to earn what men earned in the previous year, per the National Committee on Pay Equity. "The children of slain Saudi journalist Jamal Khashoggi have received million-dollar houses in the kingdom and monthly five-figure payments as compensation for the killing" six months ago today, the WashPost's Greg Miller scoops. "Khashoggi’s two sons and two daughters may also receive much larger payouts — possibly tens of millions of dollars apiece — as part of 'blood money' negotiations." Why it matters: The payments are part of an effort by Saudi Arabia to ensure that Khashoggi family members "continue to show restraint in their public statements about the killing of their father by Saudi operatives." Congress must continue to do everything in its power to hold Khashoggi’s killers responsible. Administration officials should look at shocking evidence that reinforces the conclusions of our intelligence agencies. ... Another six months cannot pass without accountability for this abhorrent crime. Manufacturing activity in the U.S. and China, the world’s two largest economies, "perked up in March, an antidote to financial-market fears of a coming global recession," The Wall Street Journal reports in its lead story (subscription). "[P]ockets of weakness remain and the outlook is uncertain." Why it matters: The improving factory-sector gauges "reversed a so-called inverted yield curve that had developed in late March in which short-term rates are higher than long rates, a precursor to economic downturns in the past." "If you notice," she told him, "in meetings the women rarely talk. And when you aren't there to ask their opinion, they are becoming increasingly mute." "He invited over a dozen of the senior women for dinner at the White House to discuss what was going on." "Since the night Donald Trump became president," Jarrett writes, "I've been going through the five stages of grief, sometimes all five in the same day." President Trump is considering a "border czar" or "immigration czar" to coordinate immigration policy across various federal agencies, AP reports. Two potential candidates: former Kansas Secretary of State Kris Kobach and former Virginia Attorney General Ken Cuccinelli. 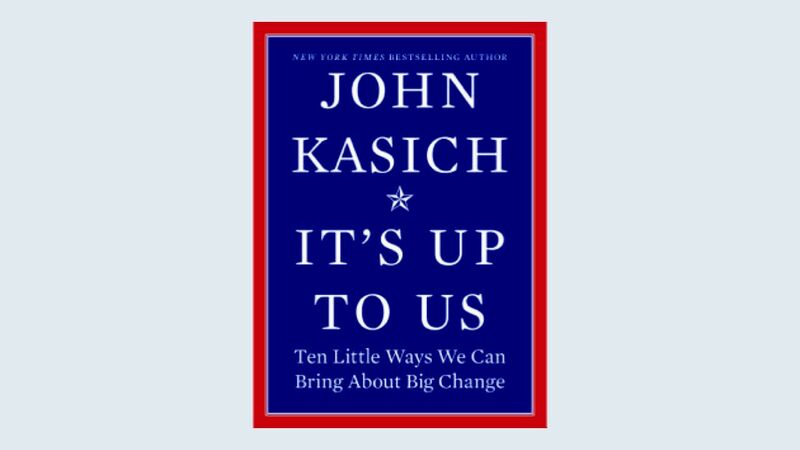 "Fix things where you live," Kasich writes, "connect with other people, live a life bigger than yourself, and tell politicians what you expect out of them." Julien Marcel, CEO of Webedia Movies Pro, a data company for the theatrical industry, said the buzz is about the "second digital revolution" in moviegoing. 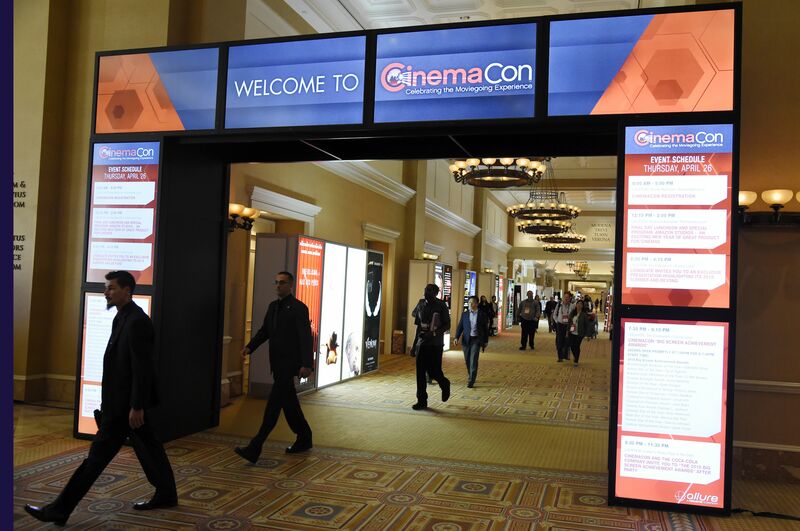 "All movie experiences start online and the key challenge for exhibitors is how to adapt with this second digital revolution," Marcel said. "The first digital revolution was when projection moved from analog to digital. Now we're at the heart of the second digital revolution where the marketing goes all digital and the ticket sales go all digital." Marcel also expects there to be a lot of focus on the "subscription economy." MoviePass might be struggling, but AMC and Cinemark have found successes with their own models and more companies are gearing up to do the same.